Official Macron product which is brand new with tags in its original packaging. 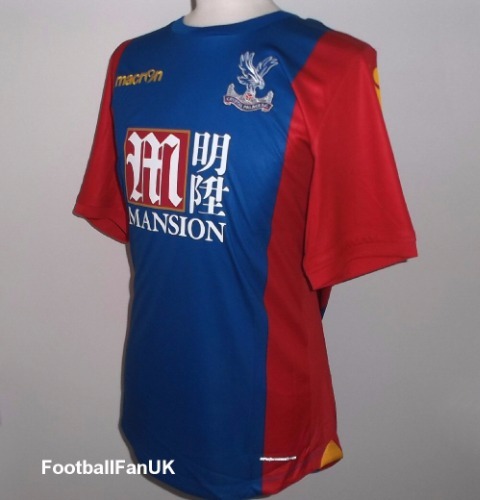 This is the official short sleeve home football shirt used by EPL club, Crystal Palace FC for the 2016/17 season. This is the 'Slim Fit' version of the shirt. - Features a woven club badge. - CPFC woven at back of neck. - Red and blue stripes with yellow trim. - 'Slim Fit' version of the shirt. - Laser cut side ventilation holes. - New with tags in Macron packaging. - Adult (SlimFit) UK/US-Large (EU-XL). Chest 44", length 30". - Adult (Slim Fit) UK/US-XL (EU-XXL). Chest 46", length 31".